Is This Girl Group Considered The New BTS? A gender-fluid girl group has recently debuted and has fans turning heads for their boyish looks. While it is a bit more common to spot boy groups with some rather eye-catching, womanly features such as New Ace, this girl group is doing quite the opposite. 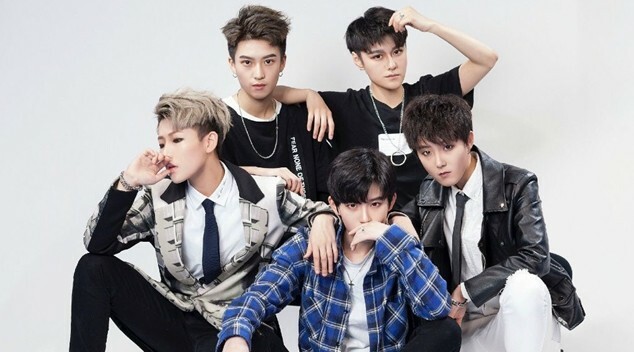 The girl group named ACRUSH are a new rookie group formed in China who are taking over social media because of their boyish charms. While most groups in China usually mimic K-Pop groups such as T-ara and Girls’ Generation (or try something different by utilizing the familiar J-Pop rock concept), this girl group has a likeliness to the internationally popular boy group BTS! Many listeners have compared their song to being catchy and similar to “Fire” as it has a rough and noisy sound that goes along with their loud and blaring chorus. When it comes to looks, these girls even emulate some of the BTS members from their eye-makeup, facial features, hairstyles and fashion choices! Check out the collages comparing the members down below! What do you think – see any resemblance? You can check out their debut MV down below as well and don’t forget to tell us your thoughts in the comments!